Rangate has been assisting clients build performance windows and doors for over 10 years. We are the industry leader, with a record of success with everyone from the most well-respected producers in the marketplace to one-person startups. Your goal is to build a new window or door. WeComplete is how we ensure you succeed. It’s our unique way of partnering with each client for success: Wherever you have unanswered questions, we help you find the right solution, so you move into production without any delays or unforeseen issues. Our service covers every aspect of your pre-production, implementation, and support. Comprehensive: Get independent, proven recommendations on everything you need to build your window or door. Customized: No two shops are exactly alike. Our team helps you maximize your unique strengths and minimize your challenges for a process that fits your budget, timeline, and goals. Connected: Our network spans the entire industry. Working with us opens up new doors and opportunities, while never limiting choices on any aspect of production. Kick start your production with proven designs for every market, available for all production machinery. 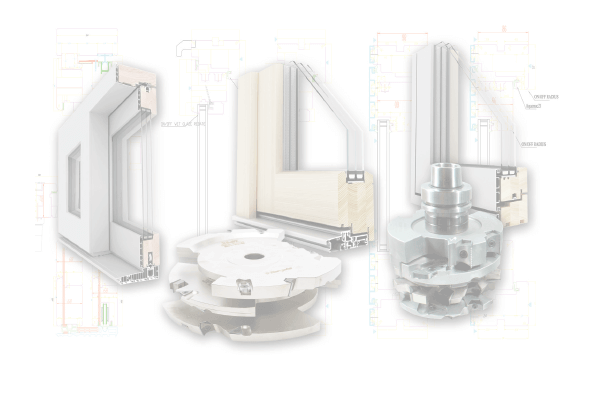 Connect with our team to design a window/door which realizes your vision for style, performance, and production type. 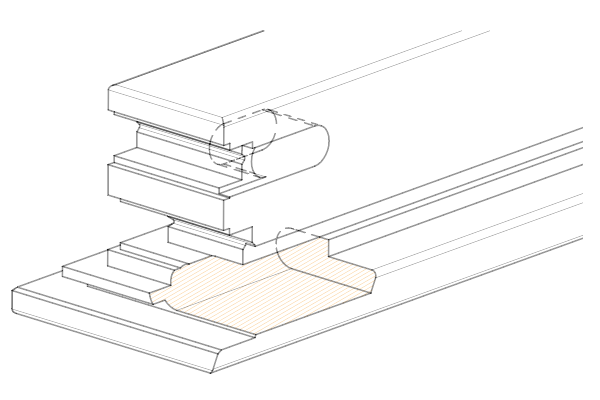 Click any of the steps on the process to see the advantages WeComplete brings to every aspect of building quality windows and doors. We work with clients in every region of North America, building windows and doors for every market, making every kind of door and window you can think of. Take a moment to check out our client map to see where we’ve successfully completed projects. Duratherm and Rangate began their relationship through Duratherm's participation in the Rangate Euro Tour. This annual program brings American shop owners and woodworkers to Europe to see the full range of window technology and shop practices at some of the world's most advanced high-performance window shops. During this process, Duratherm saw the machines and technology of the whole range of competitors on display- and chose Rangate as a partner. For Duratherm, the Tour was a valuable research opportunity which helped clarify their own needs in adding capacity. Whether it's new training for the shop staff, a new layout or work flow for the build process, or new material handling equipment, upgrades require support to succeed. Recognizing and incorporating these elements into the plan with Rangate saved thousands of dollars and hundreds of man-hours by identifying and avoiding potential pitfalls. "Our companies share the values of commitment to the highest quality in everything we do, and a dedication to service that results in success as the only option"
Developed for Canadian manufacturer Westeck Windows, this all-wood out-swing casement window received Door & Window Magazine's Green Award for Innovation for its innovative use of renewable materials. Achieving the Passive House standard is an achievement in itself, but meeting this level of performance while being built of compostable materials is a landmark accomplishment. Topping it all off is the out-swing design, a bona fide requirement for success in the North American market. While it’s a landmark design, a design is just lines on a piece of paper (or a CAD program) until it is built. Westeck has begun producing their new window, built with Rangate-engineered tooling which matches the performance of the initial design. 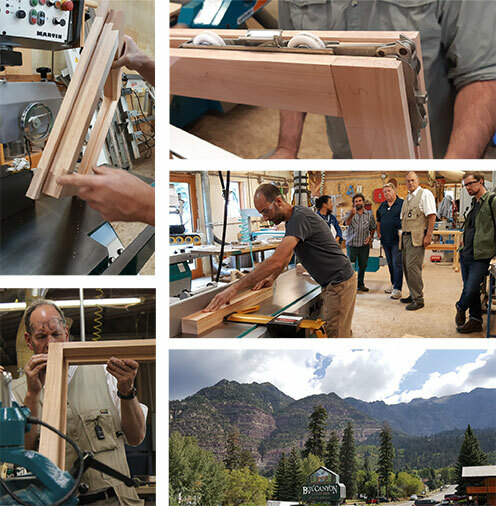 If you’re not quite ready to begin your project, Alpine Workshops are the best resource to build skills and knowledge, and bring your path to crafting windows or doors into focus. We invite you to start your journey there.